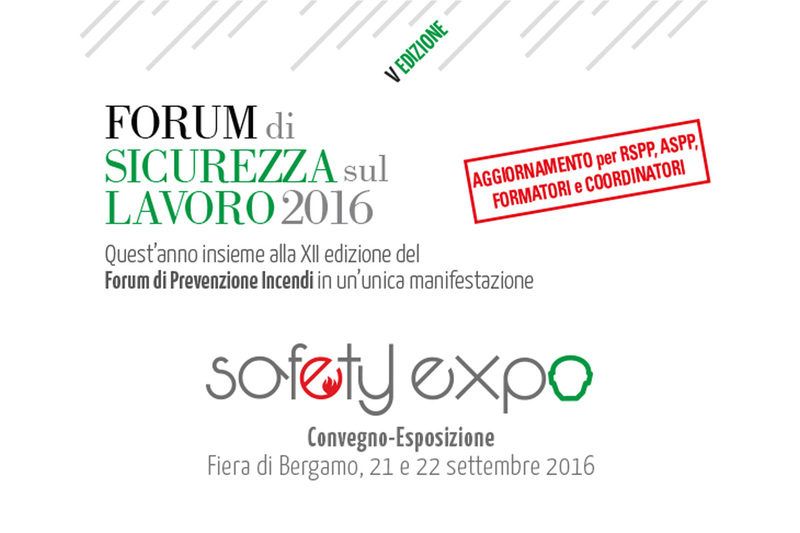 Safety EXPO’s fair is going to take place at the same time with the main event Forum di Prevenzione IncendiThe both conventions have been promoted by the institute “Informa” alongside “Riviste Antincendio” and “Ambiente & Sicurezza sul lavoro”. This year is respectively the 12th and 5th edition of these meetings. These 2 days are supposed to be a breeding ground for professionals, companies, specialists, local authorities representatives and industry’s stakeholders to come together by sharing ideas, proposals and standpoints.